Nobody likes unhappy, lacklustre looking locks do they? Well I know I certainly don't anyway! My hair has needed some serious TLC as of late, it's been so dry and has been crying out for me to inject some moisture back into it. 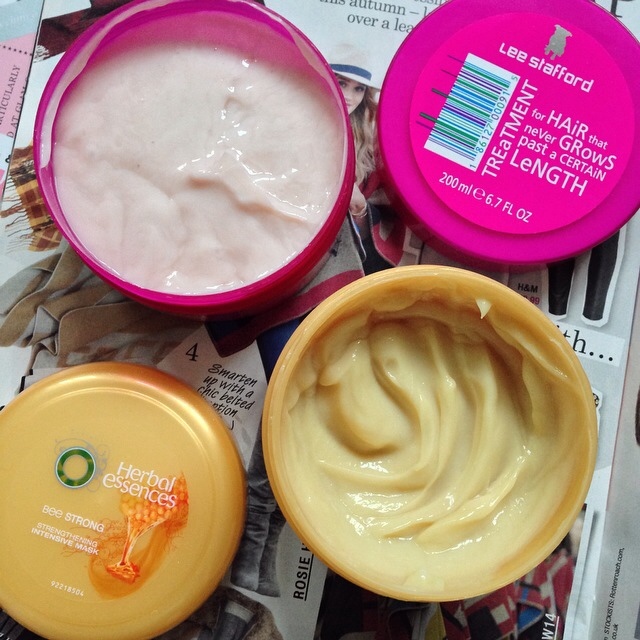 That's when I went on the prowl for a good old deep conditioning hair mask to work it's magic. 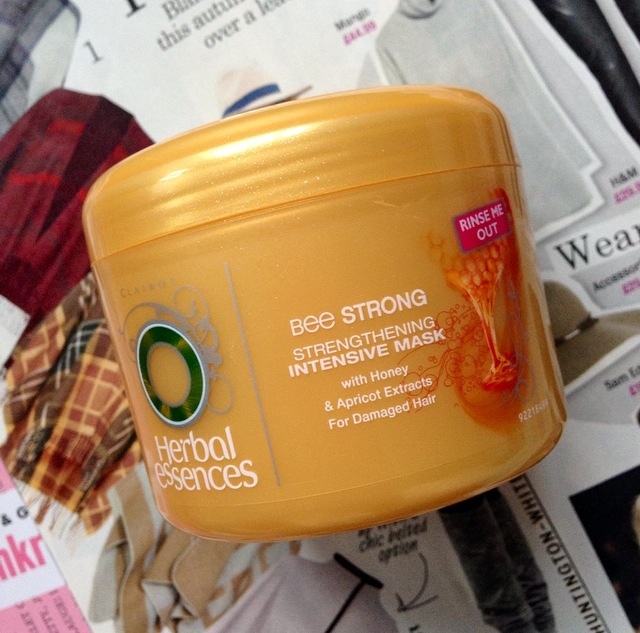 After reading various different reviews online and a ten minute, scan every shelf possible in boots in search for 'the one' I came across Herbal Essences bee strong strengthening intensive mask. At an absolute steal of £4.39 you really can't go wrong- I think that's such a reasonable price to pay for a good quality hair mask. 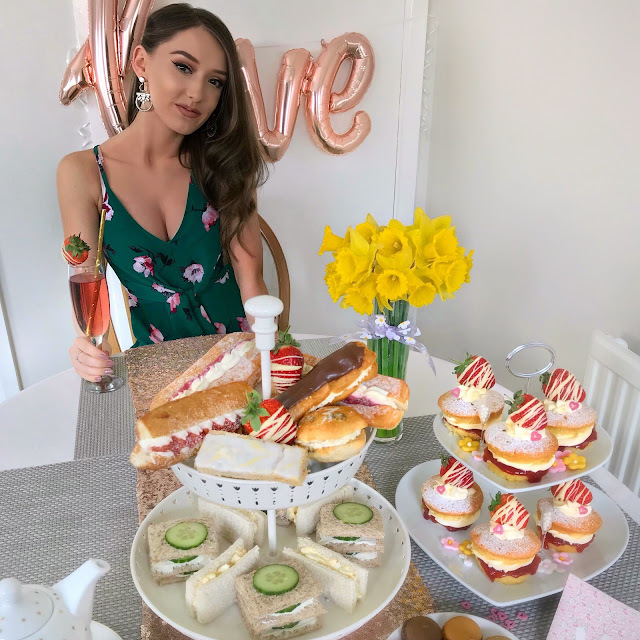 I've heard nothing but good things about the Herbal Essences bee strong range so I've been meaning to try some of the products out for a while, it's safe to say I was a little excited to try this hair mask for the first time! I can honestly say I'm not disappointed in the slightest and would 100% recommend it to anybody that wants to bring their damaged hair back to life. After just one use my hair looked so shiny and glossy, not mentioning just how gorgeous it smelt too. It says on the tub 'with honey & apricot extracts' so you can probably imagine just how nice it smells, I'd buy it just for that! I haven't got a bad word to say about this hair mask, it's left my hair so soft and I'm extremely pleased with the results. It's great for if you're on a bit of a budget as the tub would last weeks, you only need to use it once a week. I'm definitely going to go out and buy the rest of the products in the bee strong range! 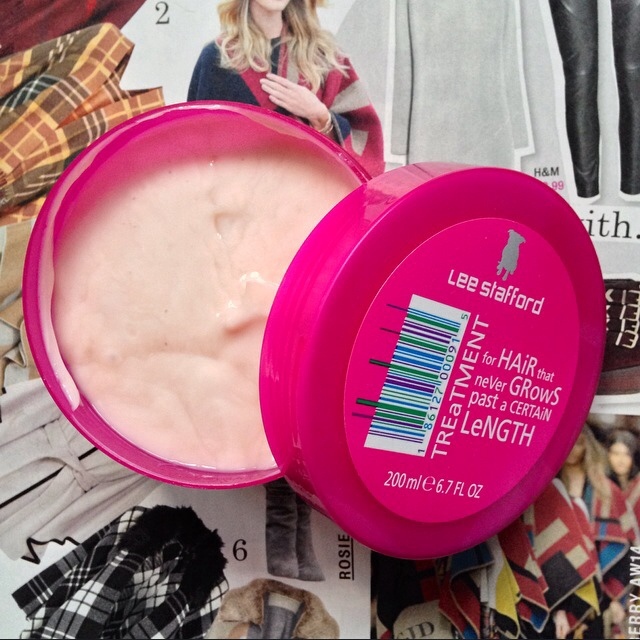 If you would like to spend a little more though another hair mask I'd recommend is the Lee Stafford treatment for hair that never grows past a certain length. I've mentioned this before on my blog, review here.